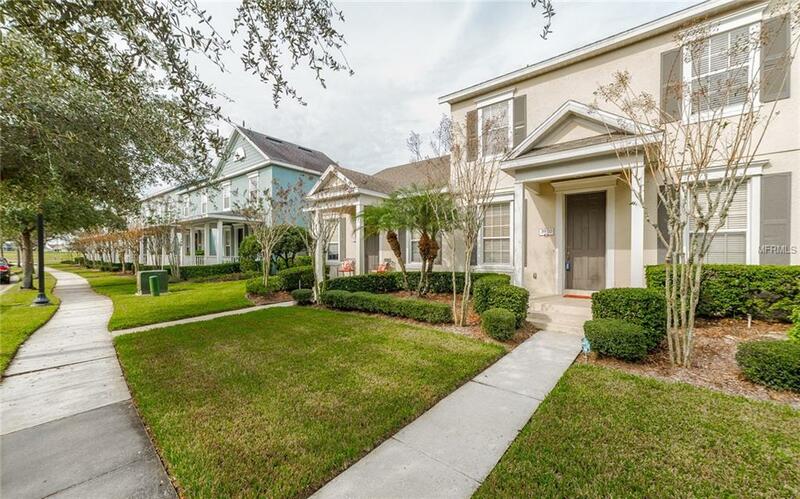 This is the perfect move-in ready town home. Upgrades abound from the wood floors in the living area to oversized ceramic tile in the wet areas and Corian counter tops in the kitchen. Stainless steel appliances with an adjacent convenient laundry closet make this not only a luxurious home but also a convenient one. Two bedrooms upstairs with one hall bath and one on suite in the Master Bedroom. The rear entry garage is connected by a private courtyard to the main house. The unit has access to a state of the art recreation and exercise center as well as an oversized pool with hot tub and locker rooms for your convenience. This is a must see. It won't last. Listing provided courtesy of Go Realty Llc.